As gas prices drop, Canadians are pumped to spend rather than save. What do falling gas prices mean to you in terms of personal spending and financial planning? Well, if you’re thinking here’s an opportunity to go out and get yourself a great big shiny gas guzzler of a car, truck, or SUV, let me remind you about that famous song by the late Beatle George Harrison that goes, “All things must pass.” Yes, dear reader, just as surely as gas prices fall, they most assuredly will go back up, and perhaps sooner than expected. The average motorist can expect to save about $25 per week (or about $650 in six months) on gas over previous high levels, says Gasbuddy.com. Maybe the price of a barrel of oil won’t skyrocket to above $100 again in the near future. But some market analysts are saying the price will soon enough rise from it’s current level of about $48.00 and probably level off at around $75.00 or $80.00 in the months ahead or by this time next year. That’s provided it’s business as usual for the flow of oil globally. We live in uncertain, even tumultuous, times. Day to day, heaven knows what surprises the Middle East holds in store for our petroleum dependent world. 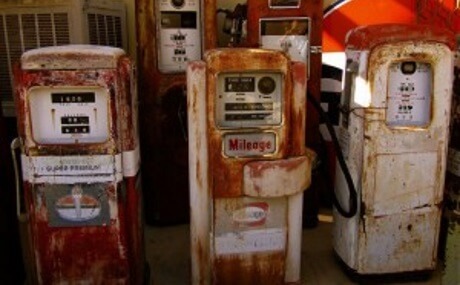 As it stands, though, we can rejoice in oil prices that have ushered in historically low gas prices at the pump. In Ontario we’ve seen prices drop to below one dollar per litre. Recently, gas stations in the Greater Toronto Area have been posting prices hovering around 88 cents a litre. If this keeps up, the average motorist can expect to save about $25 per week (or about $650 in six months) on gas over previous high levels, according to Gasbuddy.com. On that note let’s return to my point about personal spending and planning your finances. Funny thing, in my reading I haven’t seen much about people putting the extra disposable income from cheap gas into savings. I‘ve been interested to read what news reports are saying about how lower gas prices will affect consumer spending and household financial planning in Canada. Yes, by all means, cheap gas prices will influence new car spending, with bigger vehicles under consideration. The extra disposable income also will influence our eating habits as more of us eat out and order in. The cheap fuel will make for more road trips inside Canada by happy vacationing families. It could even affect real estate with an economic shift from oil-rich Alberta out west to the country’s eastern economic hub of Toronto, with more demand for homes in the city (as if Toronto’s residential real estate market isn’t hot enough already). Funny thing, in my reading I haven’t seen much about people putting the extra disposable income from cheap gas into savings and investments. Why is this so, especially in light of widespread forecasts right now for a hike in interest rates by 2016? I guess that as consumers habituated to cheap credit over many years, we’re a predictable lot. The minute consumer prices drop, we’re ready to shift spending to more consumer goodies. Rather than stepping back to consider the altogether wise option of putting the extra found cash towards savings – and especially towards paying down debt – we can’t wait to swipe more plastic or take out more loans. Collectively, our consumer debt is through the roof. This is some fast ride Canadians have been enjoying for most of this century. Maybe it’s time to slow down – before the gauge hits empty.